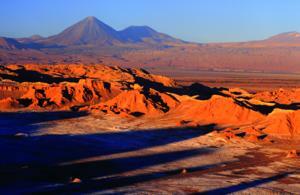 Atacama, according to NASA, National Geographic and many other publications, is the driest desert in the world. 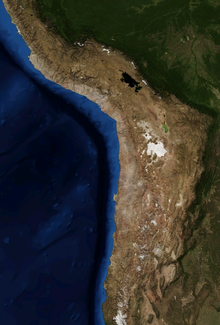 This virtually rainless plateau stretches along the Pacific Coast of South America from Northern Peru to south of Antofagasta, Chile. A coastal inversion layer created by the cold Humboldt Current and the anticyclone of the Pacific is essential to keeping the climate of the Atacama dry. 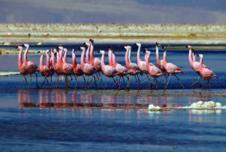 The average rainfall in the Chilean region of Antofagasta is just 1 millimetre (0.04 in) per year. 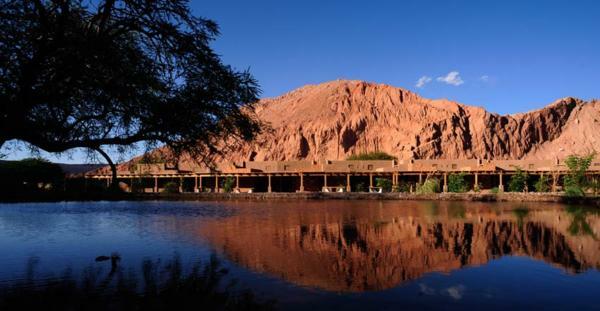 And some weather stations in the Atacama have never received measurable rain! In spite of that fact however, this desert teems with life at numerous, rich oases that are fed by the great fluvial watershed of the Andes. This was the cradle of civilization in South America, and while the Incas were still an obscure tribe of cave dwellers in the Andes, rich and highly advanced civilizations flourished at these abundant oases. Luckily, due to the almost total lack of humidity, the remnants of their past are preserved landmarks in the area in the form of tombs, mummies, beautiful textiles, and huge ground drawings. The maintenance of their traditions gives life to small towns today. "Cordilleras" as the mountains are called, volcanoes, salt petreses, geysers, and hot springs all add splendor to this wonderous landscape. • Two half-day or one full-day excursions per day in small groups with other guests, accompanied by English, Spanish and French speaking guides. 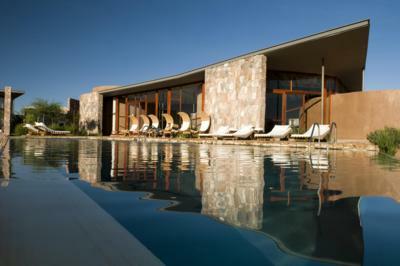 • Full use of all the hotel facilities, including gardens, pools, saunas and Jacuzzi. • Telephone calls, laundry and other personal expenditures. Note: Check in time is 3 p.m., check out time is 11 a.m.
• Spa treatments; massages, reflexology, Reiki, etc. • Premium wines and spirits.